When our kids return to school after a long Summer break, they are soon hit with days that get shorter and colder. Before we know it, Winter is here. It is always a challenge to keep our kids healthy during this time, but there are immune boosting herbs that can help. Larch (Larix laricina) arabinogalatan is an extract from the Larch tree that contains powerful polyphenols. With its pleasant taste and water-soluble nature, larix is an easy addition to water or juice. Kids love it and it and can be taken daily to improve immune health. Elderberry has a long history of use, western herbalism has many recipes containing elderberries, including the renowned Elderberry Syrup. The pleasant taste of this berry make this a wonderful herb to use for kids. Astragalus is a herb with a rich tradition throughout Asia. This is one of the best known herbs in China for supporting the immune system. Garlic is a simple food with immune boosting qualities that can easily be added in extra quantities to meals. Not to be underestimated, garlic is a nutritional powerhouse with wonderful health benefits. Ginger is synonymous with Winter and Christmas, with gingerbread men and gingerbread houses being a part of many family's Christmas traditions. 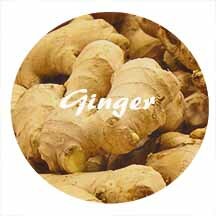 Ginger is also a herb with a long history of use during the winter months, with warming qualities that support immune function. Add it to hot lemon drinks with honey, kids love it. Hand Washing: This is one of the simplest and most effective preventative measures that a child can do to stay healthy during Winter. Sleep: As the days are longer and darker, children's natural instinct is to want to sleep more. Sleep is a vital requirement for a healthy immune system, make sure that your child is getting enough sleep.